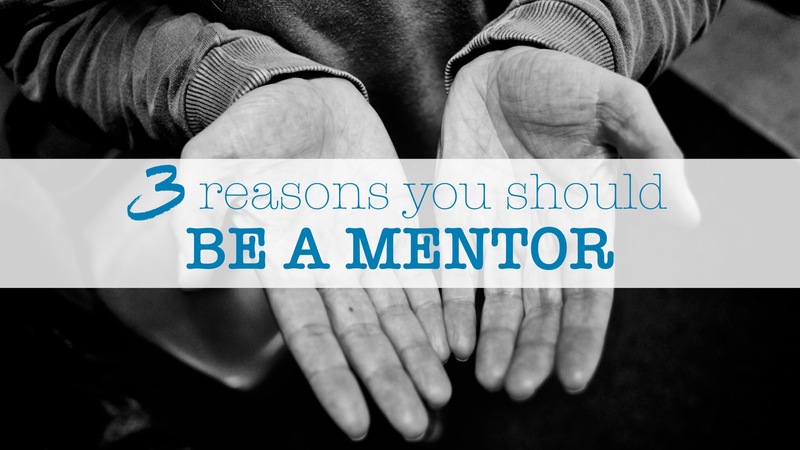 Being a mentor is one of the more privileged, rewarding, and challenging things you can do! If you’re not one, here’s a few reasons I think you should consider it. Because it’s not all about you! Whatever you know, have or experience is not just about or for you. It never is. Everything that you learn in your life, the skills you possess, the talents you develop, the capacity you have is never about you learning, possessing, or developing so much as it is about the IMPACT those acquisitions can have on the world around you. To be a mentor is to realise that you have something to give. And you do! Being a mentor is an acknowledgement that the wisdom you’ve acquired over the years is most wisely applied in the developing of other people’s wisdom! Even if you’ve earned it through a series of terrible decisions and catastrophic failures, your wisdom can be of benefit to those who are coming behind you. Even if you don’t think you’re particularly wise, you’re probably wiser than someone … in something … and it is upon us all to see that we don’t just hoard and protect what we know but that we use it in service of others. Because it has redemptive power. Your most disastrous mistake. Your most embarrassing failure. Your deepest wounding. Your greatest regret. These can all find a sense of redemption when allowed to be used to protect, prepare or comfort others. Whether your story becomes one of warning and caution, one of inspiration and conviction or one of empathy and understanding … there will be something for others to glean from it and so it needs to be shared. And although it doesn’t erase the consequences, pain, guilt or regret it ensures that those feelings aren’t wasted. It brings something of purpose and usefulness out of experiences that would otherwise seem so wasteful and hopeless. Would I rather not have experienced a broken marriage, grief, or failure? Absolutely! But if it’s happened, would I rather see the learning and the sharing bring life, hope, and wisdom to others? You bet! Because you know it’s hard to ‘go it alone’. You may never have had a mentor. You may have constantly craved that intentional investment and support or you might not even realised you were missing it. But I think we can all acknowledge that sometimes life is difficult and often times we are left to navigate life on our own. New parents, young entrepreneurs, students, newly weds, first time home owners, emerging artists, writers and communicators can all feel like they’re stumbling in the dark – trying to work out how to conduct themselves in an industry or lifestage where everyone else seems to know what they’re doing but them. It can be intensely isolating. You remember that. You can be part of breaking that pattern for those who are coming after you. So, what do you think? Who could you be mentoring? What environments could you connect into where your wisdom and experience can be beneficially shared? What relationships could you be fostering to bring some of these mentoring outcomes to the fore?